The Galaxy Core I8260 is a great smartphone with a brilliant design, intelligent integrated technology which performs quite smoothly. It has been announced in May 2013 and released in June the same year. It is worth noting that, despite the fact that it might be affordable, convenient and ideal for anyone, this phone, like many others, can show signs of unresponsiveness and get viruses. 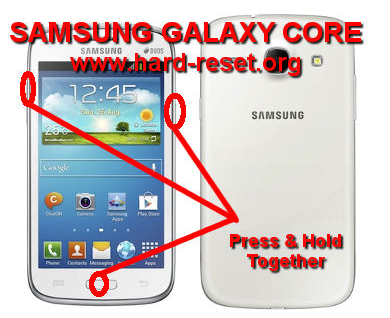 You do not have to panic, however, as you can always solve these problems should you hard reset your Galaxy Core I8260 to factory soft. In order to learn how to perform this process, follow the instructions below. The Core I8260 is a simple, yet sophisticated phone with conveniently managed dual SIM capability, crystal clear 4.3” WVGA TFT display of 16M colors, primary 5M camera of 2592×1944 pixels and great performing secondary VGA camera for video-calls. 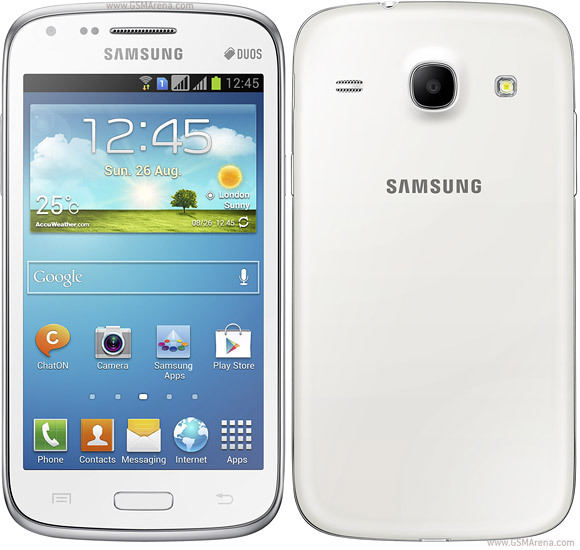 It runs on Android OS, v4.1.2 (Jelly Bean) operating system and features a Dual-core 1.2 GHz Cortex-A5, Qualcomm MSM8625 Snapdragon S4 Play processor. Furthermore, this modern device has an internal memory of up to 8 GB (4.45 GB user available) and 1 GB RAM storage, which is expandable via microSD. As nice as it may sound, using the Galaxy Core I8260 can become a real burden should the phone catch viruses or get stuck in various applications. However, with a simple process called a software refresh, you can bring your device back to its initial state of glory. You do not have to wait long hours at a specialized GSM service, yet sit back and relax in the comfort of your home and go through a few simple steps. Hard resetting your device will erase all your accounts, music files, videos, documents or any personal data. This is why a backup beforehand is necessary. You should note that there are three methods to bring your phone back to its factory settings. Go to the Settings menu and tap on “Backup and reset”. Click on “Factory data reset”, then tap on “Reset device”. Select “Erase everything” and wait for the phone to reboot. Press and hold together the Volume up, the Home key and the Power button. Wait until you see the option “Wipe data/ factory reset” and navigate using the Volume button and the Power key to confirm. Select “Yes- delete all user data” and confirm the “Reboot system now” operation. Check if your phone is turned on. Make sure the battery is not empty.